She said she had a dream about me and it was filled with colors. Another one of my coworkers knitted me a scarf! (See the first one here). Loaded with blocks of color and made with LOVE, it is a true work of art! I proudly wore it all day at the crafts store when she gave it to me. Look at the time and care and detail that went into this! This particular coworker is like the mother hen at our store and I often ask her for advice and tell her my troubles. I think she saw how down I was--and perhaps how little I thought of myself--and wanted to create something to lift my spirits. I cannot wait until fall and the cooler weather to hit so I can start wearing this all the time. Thank you, Sujin! It is gorgeous! Also, I'm liking your new pics! I hope your feeling better, just want you to know I'm always looking out for you on here- It feels very good to see one of your posts pop up, however the tone. I've been following your blog for over a year, and your words really help me too! That's a very striking scarf, and it looks as if it would be very warm. You've got some great people in your life. You sure have been blessed by receiving such a magnificent gift as this. 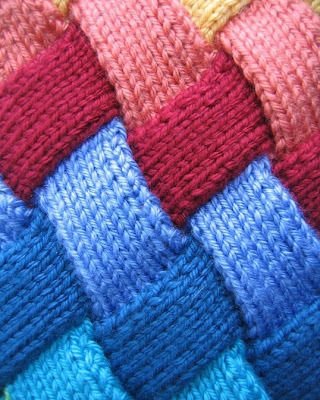 I am envious I can honestly say, it is definitely a Dean Scarf! That is one beautiful, unusual scarf! Everyone should have a Sujin in their lives! It's a gorgeous scarf. I love how it brings out your crooked smile. It looks good on you. And how nice to have someone at work who cares about you enough to do something to cheer you up. You're a rich man! Until the fall, make sure you place it somewhere that its sunny-ness can touch you daily! I love the scarf, and I love the smile even better! I love when love is tangible. Thank you for your continued support, girl! The scarf is very warm, soft, and comfortable! "...it is definitely a Dean Scarf!" Sujin is an amazing lady, Mitch! I'm very blessed to have coworkers that care about me as much as they do. I couldn't have said it any better, Randy! All of your wonderful words are greatly appreciated! I am so jealy!!! That scarf is amazing! And I love that little smile on your face. Much love back at you, girl! It's really quite beautiful and well made. And definitely made with love. Don't doubt the dream, I am sure she was being truthful. I like the inspiration that can come from dreams. But of course I'm she also wanted to cheer you up. i am super happy to have found your blog.... artist at heart myself. i wrote a post on color therapy too few days back. 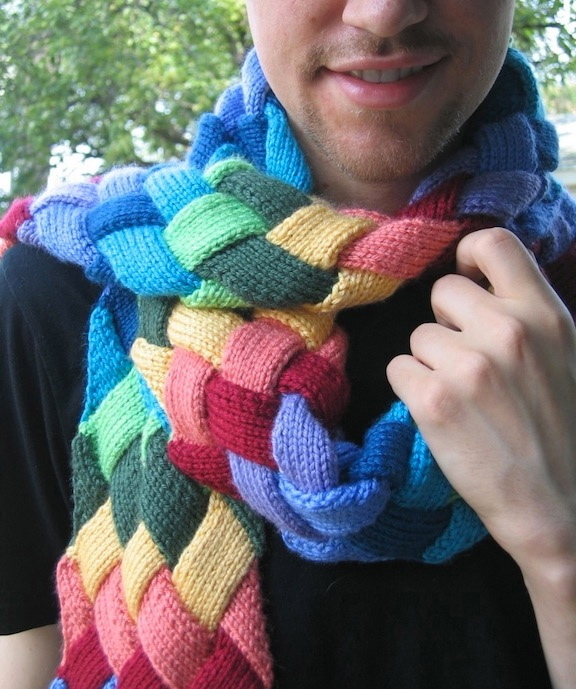 Most definitely beautiful - I hope you are still enjoying this colorful scarf. Oh yes. I wear this every year! So far I have three handmade scarves. The brown one I wear in the fall (October/November). The green one I wear during Christmas-time (December). The multi-colored one I save for January and February because those months lack the most color. This way all three scarves get used and admired evenly.